Tom Janko has a Bachelor's degree in music, and has been playing guitar, piano, and singing for thirty-five years. His is capable of performing vaiours styles including rock, country, bluegrass, and jazz. 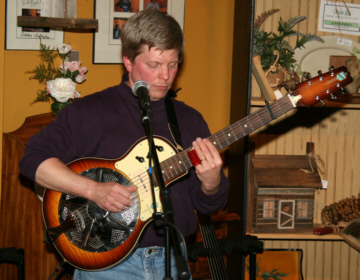 Tom is also a songwriter, and along with Dave has composed music which earned finalist status in the Colorado Composer's Classic.